The range of Dymo D1 labels is quite large. There are 5 different label sizes, 3 different label materials and numerous color combinations. To better understand the D1 range we've broken them out into 3 categories (i) Standard, (ii) Permanent and (iii) Flexible. This should help to demystify the D1 range, plus we've thrown in a few links to steer you further in the right direction. 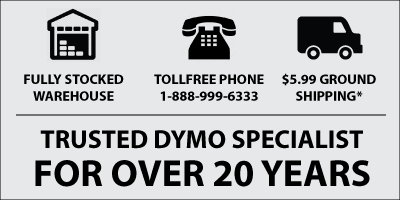 Dymo D1 labels are for use in Dymo LabelManager Label Makers.